The New Writing Series hosts Ronaldo Wilson who will from his latest collection of poems, Lucy 72. Ronaldo Wilson is the author of four collections: Narrative of the Life of the Brown Boy and the White Man, Poems of the Black Object, Farther Traveler: Poetry, Prose, Other, and Lucy 72. 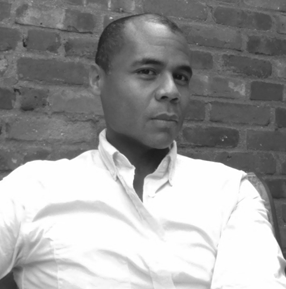 The recipient of fellowships from Cave Canem, the Djerassi Resident Artists Program, the Ford Foundation, Kundiman, MacDowell, the National Research Council, the Provincetown Fine Arts Work Center, the Center for Art and Thought, and Yaddo, Wilson is a mixed media artist, dancer and performer, who has performed in multiple venues, including the Pulitzer Arts Foundation, UC Riverside’s Artsblock, Georgetown’s Lannan Center, Dixon Place, the Atlantic Center for the Arts, and Louisiana State University’s Digital Media Center Theater. He is Associate Professor of Creative Writing and Literature at UC Santa Cruz.